The Liquid Blue team is available for private coaching clinics any time of the year. Whether it is one on one or a small group we are capable of bringing quality coaching to you whenever and wherever you may need it. Private Coaching is the greatest way for you and your group to progress in kiteboarding. Whether it is for a few hours, days or weeks we can help you overcome your obstacles. 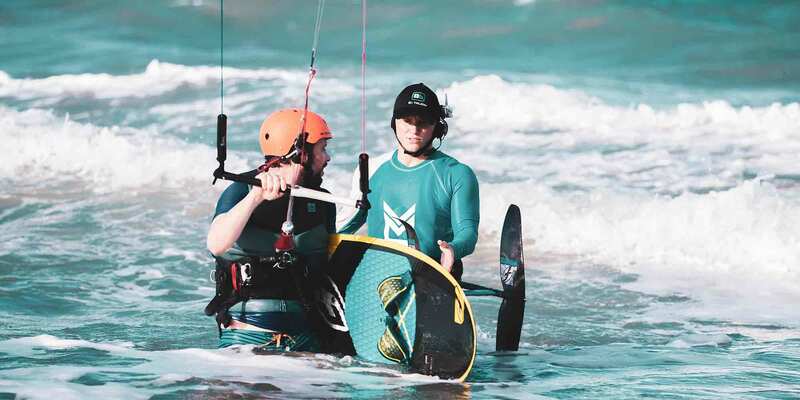 Using BBTalkin Communication we can get out on the water up and close with you to help you reach your true kiteboarding potential. Private coaching clinics are an exclusive service bookings can be done hourly, daily, or multiple days. • BBTalkin Headsets for Clear Two-Way Instruction. • Stance & Board Position Improvements. • F-One Kite Gear Demo.